When planning your special day, one thing to keep in mind is what kind of transportation you want for you and/or your wedding party. There are many luxury options and all you have to do is decide what style you like and how many you want to transport. Whether you want to leave your ceremony in a luxury car like the Rolls Royce Phantom Drophead or need a Deluxe Mitsubishi Rosa Coach that will transport your entire family – there is something for every need. Check out Sydney Wedding Transport: Ride in Style. Here are some options for your wedding transportation that will have you riding in style. When you think of any type of major event, the first thing that comes to mind with transportation is a limo. 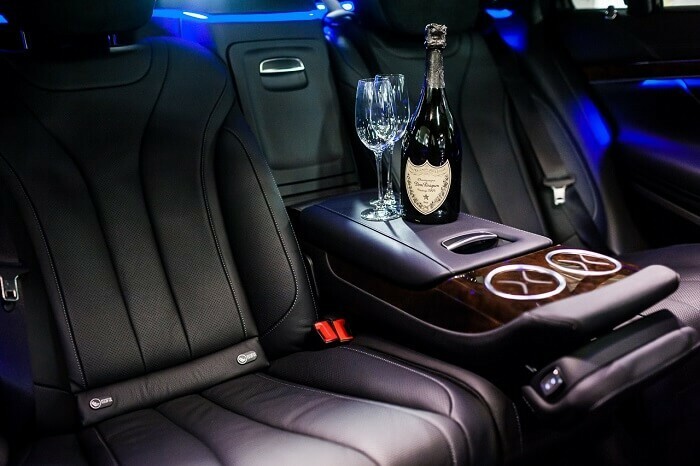 These chauffeured rides are perfect for being able to sit back and relax while enjoying comforts like flat screen monitors, a DVD player, the ability to enjoy a glass (or two) of champagne, and privacy while you talk or listen to music. There are many styles to choose from like the Chrysler 300 Stretch that seats 11 at Royal Limousines. If you are looking for something more intimate just for the two of you and want to enjoy an exciting and exotic ride, luxury cars are a consideration. Imagine leaving the wedding in a Rolls Royce Phantom, a Bentley Continental Flying Spur, an Aston Martin V8 Vantage, or a Ferrari 612 Scaglietti. All of these are the pinnacle of luxury and class – each with plenty of room for a couple and sometimes one more. All are chauffeured so you can enjoy the ride. Looking for something to transport the entire wedding party in style? Luxury Coaches are the perfect solution. The coaches provide transportation for a number of people like the Mercedes Benz Sprinter that seats up to 14, the Deluxe Mitsubishi Rosa Coach that seats 20 passengers, or the BCI Luxury 30 Seater Coach. All of these luxury coaches have amenities such as reclining seats, air conditioning, CD Stacker, TV/DVD Screen, Tinted Windows, and more. Some even have a mini bar – making those long rides much more fun. There is even a Luxury Large Coach that seats up to 61 and has the same full range of amenities and extras that make the trip convenient and relaxing. Not everyone has the budget for a Ferrari but there are still choices in stylish and classy rides for your wedding. For instance, the BMW 7 Series seats four and has all the luxuries you expect such as leather upholstery, air conditioning, rear DVD and TV, and sunroof. There is also the Mercedes S Class, the Lexus, and the Holden Caprice. These are typically going to be less expensive but still get you where you’re going in perfect style and comfort. No matter what style of wedding transportation you choose, you will never forget your special day and how you come and go is just part of your own unique style. There are a variety of budgets that are available and a style that fits everyone’s aesthetic.